It's pretty obvious by now that Autumn is my favorite season, so I couldn't let the season go by without doing this tag! Favorite thing about Autumn? Layering up. Autumn fashion is my favorite and I feel like I have the most fun and feel the best in my clothes this time of year! Favorite Autumn drink? Salted Caramel coffee. Favorite Autumn candle? Pumpkin anything. Favorite Autumn snack? This time of year I get really into breads and muffins...the colder weather means I can carb overload right? Favorite Autumn lipstick? I refuse to choose one, but any wine/auburn/purple shade. Go to Autumn moisturizer? Lancome's Absolue line. It's ridiculously expensive but it is so thick, it really helps keep my from drying out when it gets colder. Favorite makeup look? I'm loving dark smoky eyes with dark lips. Yep, I do both and I love it this time of year! Favorite music this time of year? It's all about the Monster Mash. Favorite Autumn movie? Anything Charlie Brown always reminds me of Autumn for some reason. Favorite item of clothing? Blanket scarves and a leather jacket. Favorite place to be? In my warm bed curled up with a good book. I LOVE this!! I'm so doing this! I needed a post for next Monday so it's on!! Now we are a lot alike so done answers may be similar!! ;-) I hope you had a restful weekend gorgeous!! And hugs on a great week ahead!! 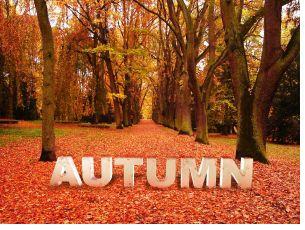 Autumn is honestly my favorite season, the trouble is it's 100 degrees here and it feels like we are still in summer! Love all of your responses, especially the comment about Snow White's red lips! Also, I am a huge fan of any of the Peanuts holiday movies, especially "It's the Great Pumpkin, Charlie Brown!" Have a lovely week Kim! I love reading all these autumn tags! I really can't get enough of this season! + anything Charlie Brown (no one understand my love for good ol' Charlie Brown cartoons lol) and pumpkin. Love this tag Kim! It's 113 degrees here in Abu Dhabi so I'm just daydreaming and reading anything about fall lol.